First part of this feature about the best comics I’ve read last year. In this post, I’m talking about the best comic books and series, while in a next post I’ll select the best long-form books. The order is alphabetical. This list doesn’t include Italian comics because I published a specific list here (only in Italian, sorry!). 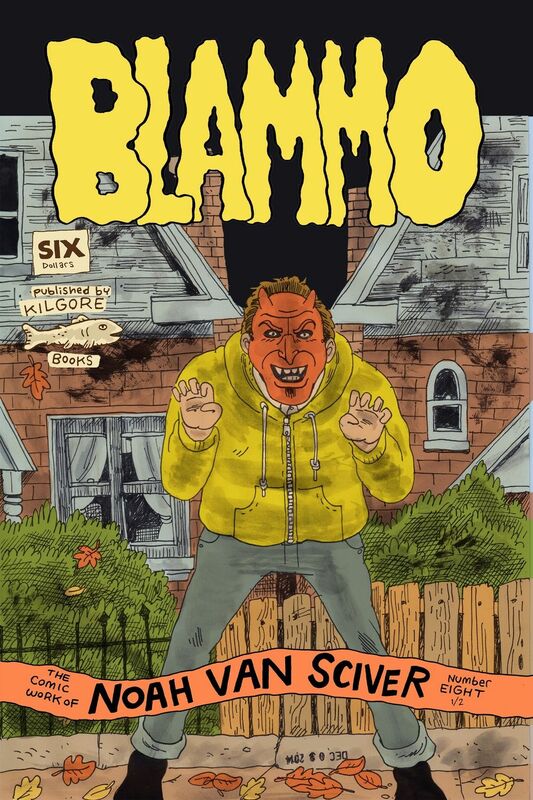 Blammo #8 1/2 by Noah Van Sciver (Kilgore Books) – Quintessence of the most multifaceted and sometimes odd Vansciverism, the eight-and-a-half issue of Blammo anthology is the perfect compendium to books like Saint Cole and Youth Is Wasted. Van Sciver has also published Fante Bukowski and the autobiographical mini My Hot Date this year, producing two more chapters of his high-quality bibliography. 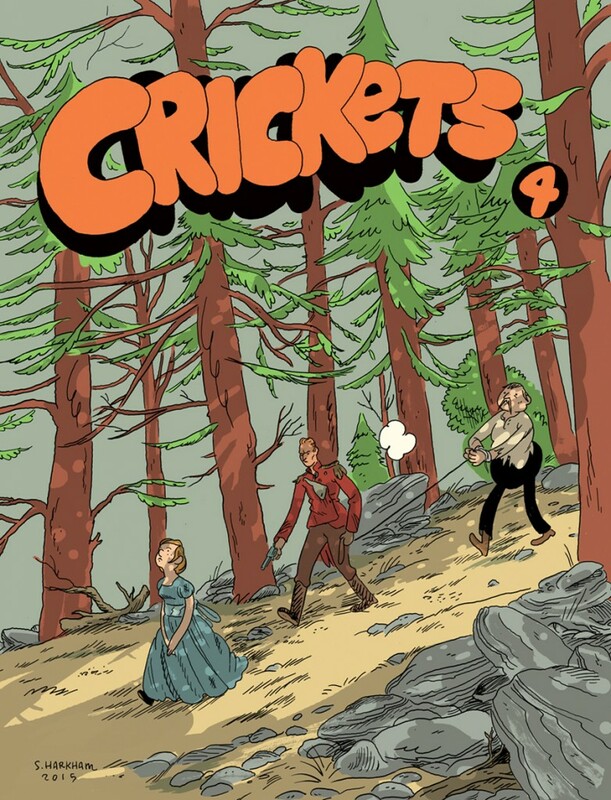 Crickets #4 by Sammy Harkham (self-published) – I still haven’t received the recently published fifth issue of Crickets, and I’m very curious to find out if Sammy Harkham managed to keep the high standards of this fourth output, that sees him at the top of his production and also of contemporary comics. The new chapter of Blood of the Virgin is dense, packed with great dialogues and beautifully illustrated. Generous Bosom #2 by Conor Stechschulte (Breakdown Press) – Conor Stechschulte is one of the greatest authors of comics nowadays but few are aware of it. The news is well known to the British guys of Breakdown Press, who recently released the second chapter of his Generous Bosom. I will try to talk about Stechschulte’s comics in more detail as soon as possible. Habit #2 by Josh Simmons and others (Oily Comics) – Josh Simmons rounds up an interesting team composed of Tom Van Deusen, Eric Reynolds, and Ben Horak to tell a series of repulsive but also amusing and paradoxical situations. A sort of essay about the topic of “good taste”, with the initial The Incident at Owl’s Head representing the top of the collection. 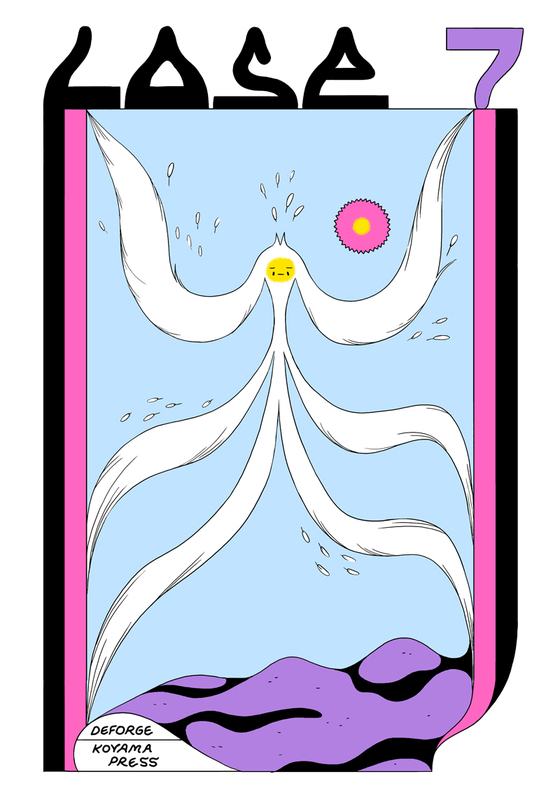 Lose #7 by Michael DeForge (Koyama Press) – Lose #6 was in my list of the best comics of 2014, so it’s easy to say DeForge reserves his best work to this series, this time with a story of a father, a daughter, and a rediscovered twin. And now you should keep an eye on Big Kids, out in February from Drawn and Quarterly. 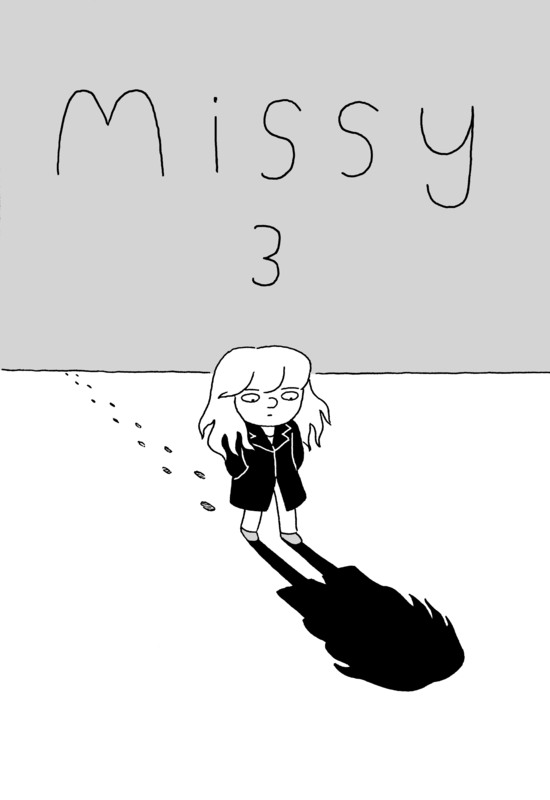 Missy #3 by Daryl Seitchik (self-published) – The catastrophic and visionary ending of the previous Middle School Missy (see this post about the comics from SPX 2014) finds a powerful development in this new Daryl Seitchik’s diary comic. The stories are becoming blurred to make room for an almost abstract approach, in which the theme of loneliness is investigated in a few lines and words. Beautiful as only seemingly simple comics can be. A Mysterious Process by GG (self-published) – I’ve already defined it as one of the best comics of the year, since it was serialized on Comics Workbook’s Tumblr between 2014 and 2015, and then it was printed some months after. The cartoonist known only as GG has a strange effect on me, because I think there is something incredibly fascinating in her stories but also something annoying. However, I’ve no doubts about A Mysterious Process, a dark, enigmatic, metaphorical, powerful and evocative story in cinemascope, with subtitles reporting dialogues. You can read it here. š! #23 by Various Artists (kuš! komikši) – Sometimes change is good and this is definitely confirmed by the 23th issue of this Latvian anthology, that leaves temporarily the usual short-story format to offer only five comics, all focused on the victims of Nazism and all by European artists. In addition, a postscript by Ole Frahm explaining genesis and development of the project, which included historical research and workshops with the artists. A particular praise goes to Paula Bulling and Vuk Palibrk, authors of the two best episodes of the collection. 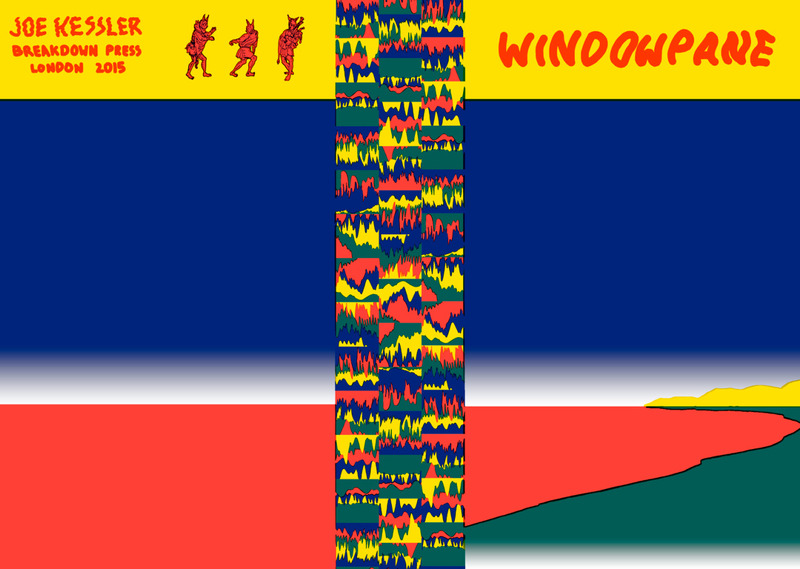 Windowpane #3 by Joe Kessler (Breakdown Press) – I saw the original artworks from Windowpane #3 at BilBOlbul, where Breakdown Press had an exhibition and Richard Short and the same Joe Kessler were guests. The artworks showed the different phases that led to this beautiful risograph print. The story is the first part of a longer narrative and is pleasantly uncomfortable in the style of Conor Stechschulte’s comics. Worst Behavior by Simon Hanselmann (Pigeon Press) – As always without much fanfare, Alvin Buenaventura’s Pigeon Press published this little paperback containing the longest story so far of Megg, Mogg, and Owl. These 52 pages in black and blue follow the usual dynamics of Hanselmann’s comics but the crescendo of assorted oddities is absolutely irresistible.